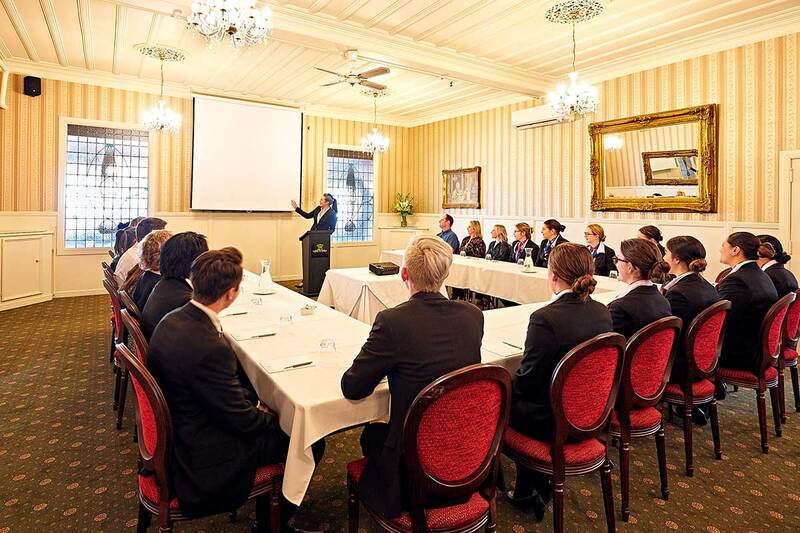 Allow Prince’s Gate to create the perfect Rotorua conference for your company. Inspire your colleagues in our beautiful conference spaces and enjoy personalised, yet non-invasive service. 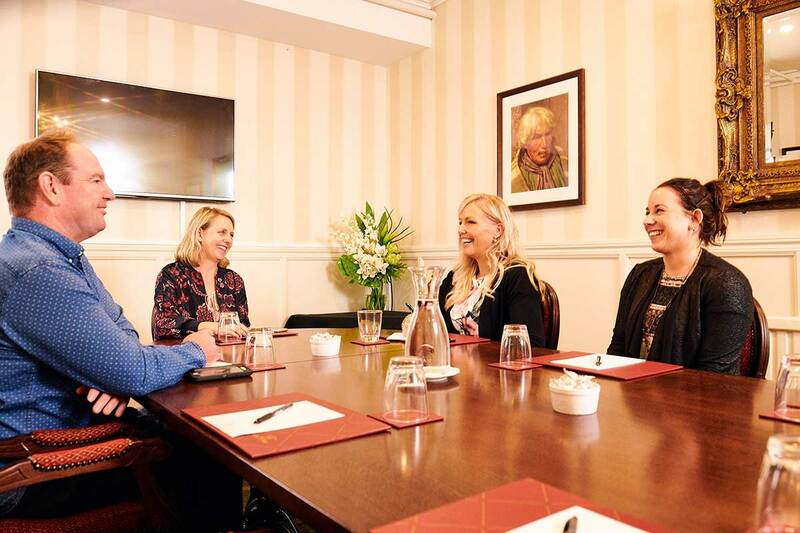 Our experienced conference team is here to realise your vision, offering versatility, use of modern technology, and most importantly a quiet and comfortable place for you to take business to the next level. We approach conferences of 80 and conferences of 12 with the same level of personalised service. Reserve every room in the hotel, or simply spend the afternoon; with fresh flowers, a selection of ever-changing sweets, and intuitive service. 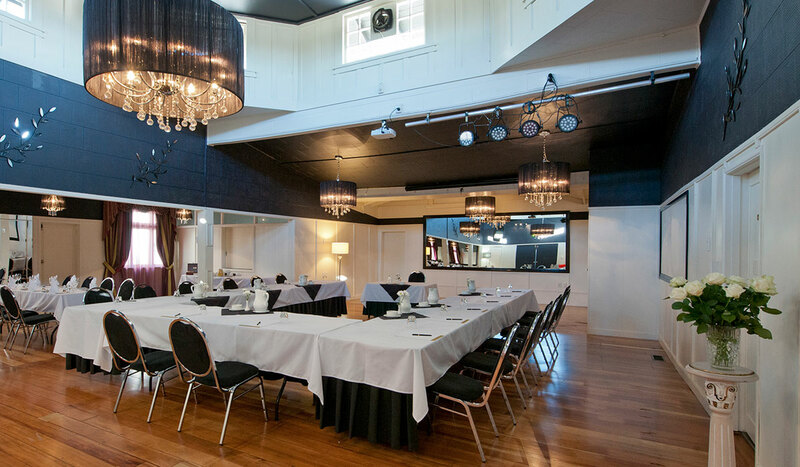 Your Rotorua conference at the Prince’s Gate Boutique Hotel will be one to remember. The Monarch Function Venue is an historical building adjoining the Prince’s Gate Hotel, accessed from Hinemaru Street. The venue offers two function rooms comprising of The Monarch Room and The Library. The Monarch Room is the main room and, depending on the configuration, can accommodate up to 100 people. 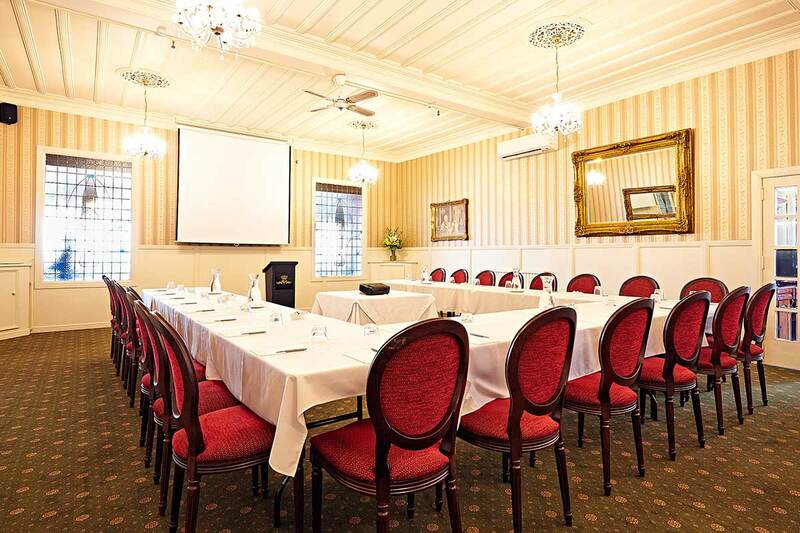 It is ideal for conferences, AGM’s, training workshops, and other private functions and gatherings. 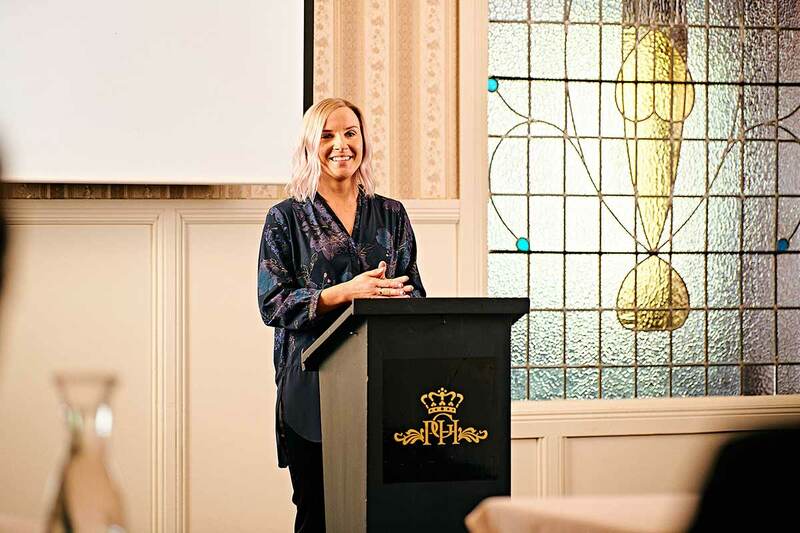 The smaller room – The Library – can cater for up to 20 guests, ideal for interviews, small workshops, executive board meetings and other similar functions. This room is also great to use as break-out room when The Monarch Room is being utilised. This boutique venue is ideal for exclusive use in its entirety and can also be priced separately as required. The Nellie Budd Room depicts the history and charm of the Edwardian era in New Zealand at the turn of the century. The room features high studded Kauri ceilings, chandeliers, air conditioning, natural light all expressed through a lush classic interior. It opens out to the pool, garden bar and facilities. This room comfortably seats 70 people banquet style. The Dukes Restaurant is renowned in the local community for its cuisine and personal service. The décor is traditional with an open fireplace, chandeliers and light filled space. This room can be utilized for both the Ceremony and the Reception Dinner. It opens out to the pool, garden bar and facilities. The Dukes can seat up to 70 people banquet style. The Arawa Room is situated in the main house adjacent to the central lounge and in close proximity to all of the facilities at the hotel. 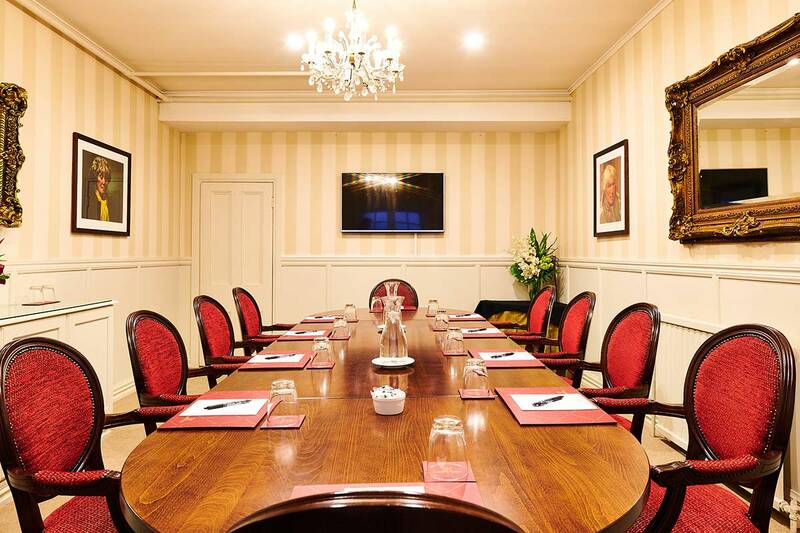 This private room is ideal for executive and board meetings, presentations, interviews, confidential business meetings or as a break-out room. The elegant and stylish Arawa Room has excellent lighting, in-built audio visual equipment, air conditioning and, most importantly, is totally private. The room allows for the maximum of 14 people. Submit your name and email address to download our conference and function information pack.